Summary: “My father was born on a small farm, down a dirt road without electricity and has lived to see amazing things. Likewise what a story this wonderful old vineyard could tell. I can only imagine where the world will be when this incredible wine reaches its peak in sixty or more years time” Nicholas Crampton. Vineyard: Sourced from an outstanding fifty year-old vineyard, dry grown and planted on its own rootstocks, on the road between Angaston and Moculta that delivers near perfect bunches of amazing fruit. Hand picked at less than one and a half tonnes per acre. Winemaking: Made using Burgundian techniques and a “hands-off” philosophy. The fruit is hand-picked, given an overnight chill before a cold-soak for seven days at seven degrees. The fruit is primarily de-stemmed and allowed to reach ambient temperature before transferred to one-tonne fermenters with 30% whole bunches laid across the bottom. The fruit was racked to high quality low toast French Oak Puncheons (500L), seventy percent new, and topped every six weeks but not racked or stirred for twenty months. The wine was not fined, given a coarse filtration and a dash of sulphur before bottling. 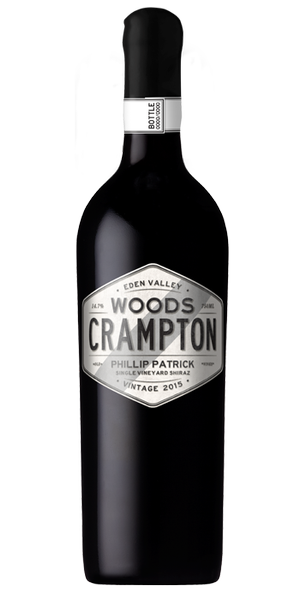 Tasting Note: A sense of brooding intensity but bright and expressive with aromas of ripe berries, spice and whole bunch aromatics. The palate is beautifully balanced and effortless with a core of powerful blue berried fruit / ripe plums framed so beautifully by incredibly fine but long tannins. The wine never gets huge but flows with impressive length to complex and finely detailed finish.This wine will unveil its true character over the next twenty years if carefully cellared.